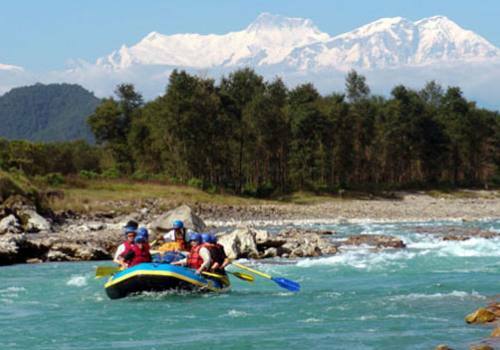 The ‘raging river’ drains the northern slope of the Annapurna Mountains. It was only opened to rafting in 1996 and yields some of the most exciting class IV-V white water in Nepal. 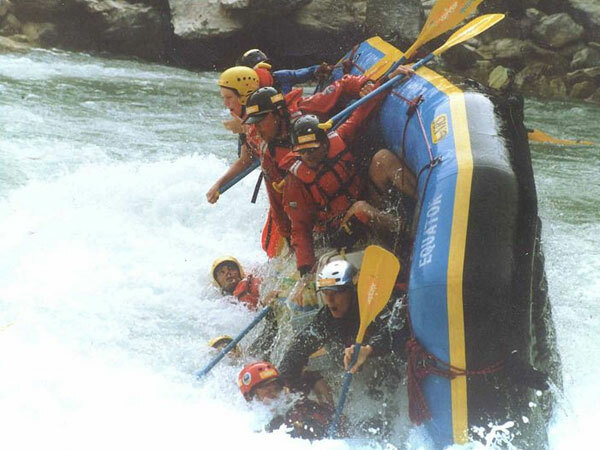 This river demands 100% commitment from both crew and guide. 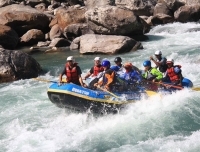 It is totally different from the big volume rivers like Sun Koshi and Karnali, the rapids are technical and requires a very different approach. 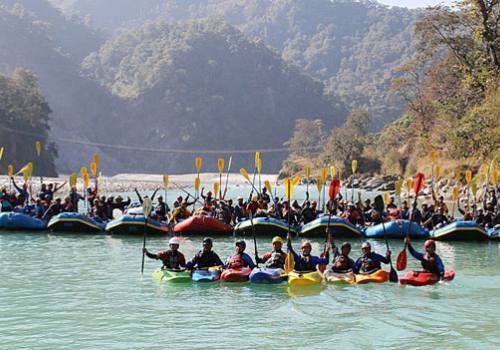 Big Volume Rivers need power and a good line, the Marshyangdi quickly forges raft crews of complete strangers into true teams. Located on the eastern side of the Annapurna circuit, the Marshyangdi River has long been famous for the beautiful views. With it twist and turn the steep sided gorges walls frame a new mountain backdrop. Drive to Khudi and enjoyable trek with beautiful views and typical Nepali villages along the way to Bulbule. At Khudi, all the gear is unloaded and a short hike follows. Once Bhulbhule is reached, camp is set up at one of the vantage points from where great views of the Himalaya can be had. Sunset views are inspiring. Hike up to Ngadi with the gears to the river point experience the most knuckle gripping sections of the river. 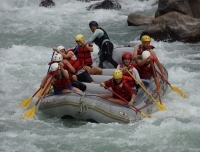 So enjoy the continues Class 4 rapids. Expedition leader and guides will brief and train you about safety and paddling. Set the camp at Khudi and stay there overnight. 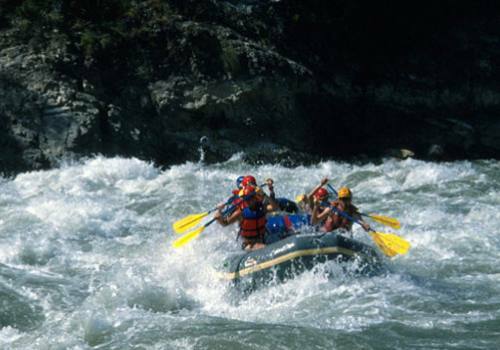 We raft the areas of surrounded by lush green jungle and the boat crashes through canyons. After five hours of fun on the rapids and canyons, we stop for lunch on a choice sandy beach. After lunch more adventure follows on the rushing waters of the Marshyangdi which takes the rafters to the camping site before Middle Marsyangdi Hydro Dam, on one of the most attractive and comfortable sandy beaches. This day begins with a transfer to Paundi which is beyond the Dam. As this concrete structure comes in the way, there is a break in the river journey and everything has to be carried across to a point further down from it. 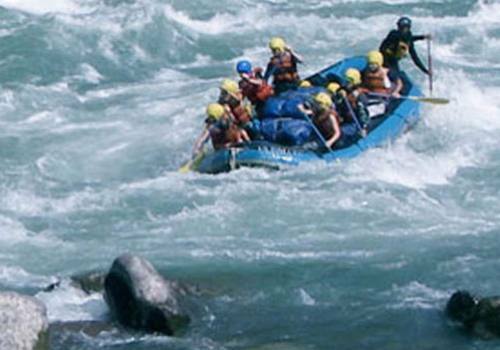 The next put-in point is at Paundi from where another 3 hours of rafting begins encountering Class 3 rapids.